PEG-based cross-linked polymeric materials (hydrogels) are suitable carriers for drug delivery and various other biomedical applications. 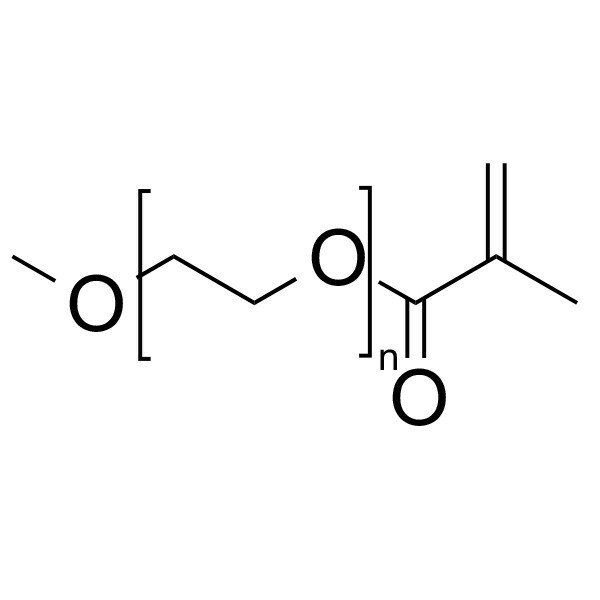 Polyethylene glycol(5000) methacrylate methyl ether (MeO-PEG-MA 5000) is a hydrophilic macromonomer used to introduce hydrophilic sites into polymers, to stabilize polymer emulsions, and in synthesis of comb polymers. MW of PEG unit = 5000.